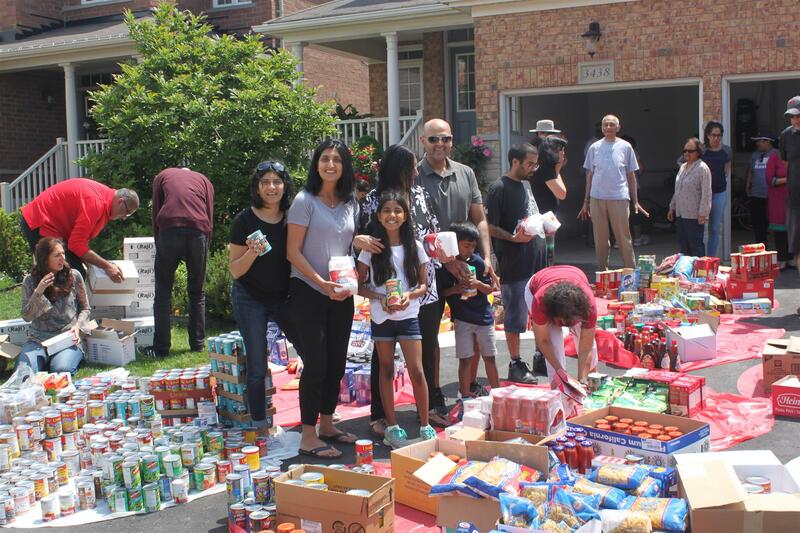 The Daily Bread Food Bank was a food drive initiative run last year during Adhik Maas, on behalf of the committee of Triveni Sangam, supported by Lohanas and friends, namely, Indira Somaia, Krishnaben Chotai, Sangeeta Dhrona, Ramilaben Ondhia, Shilla Khakhria, and Daksha Shah. We thank you all for helping out on this mission to collect and donate food items. To ensure the donation formalities, they had a priest come in and a proper 'sankalp' was done by all present when the food items were sorted out to be boxed for delivery. Collectively, they donated 4,200 pounds of vegetarian food. The food purchases were not weight based, but rather quality based. We must emphasize that it was a collective effort by communities, throughout the GTA, of which Lohana community. members were supporting. 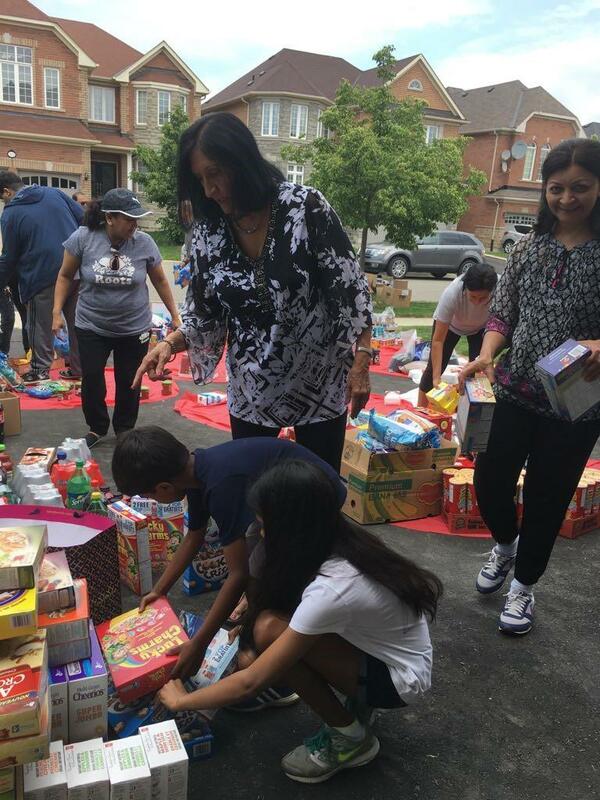 Lead organizer, Indiraben Somaia said, "Families and friends, young and old, your help in making purchases, sorting out the goodies, boxing all the items and having it picked up by the Food Bank truck was a heart-warming experience. I thank you all for your support". 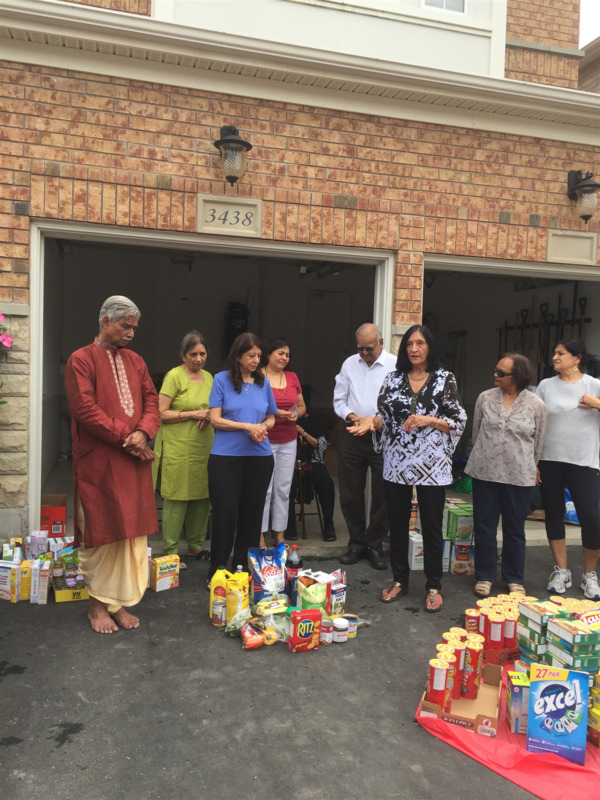 Indiraben went on to say, "I would be remiss in not thanking Mississauga Mahila Milap group in their contribution to support Interim Place - a shelter for women in crisis. For many years, members of this group come together anonymously to donate towards this cause. The collective generous donation allowed us to purchase the needs of the individuals at the shelter. I must say the items were of use and good quality." Mississauga Mahila Milap group has been celebrating the entire Adhik Maas for over 35 years. Over the years, have supported charities, mandirs and most of all, arti money collected has always been used to sponsor children through World Vision and Aim for Seva. Again, we thank you all for your collective effort! Indiraben closed the interview by saying, "Such projects can only be accomplished with the help of people.... I mean lots of people..... to me, you are all those people who have helped me in my goals over the years. Thank you.....from the bottom of my heart.". As a community and charitable organization, it is important that we do our best to support those in need of food and essential supplies. This year, our LCFT President Deval Chandarana and event lead Neena Popat, are hoping to create a food drive initiative with further details to follow in the near future.